I don’t know about you, but there is nothing I hate more than throwing out food. I do have a habit of buying more than Zach and I need, and sometimes I just can’t get through all the produce I bought for the week. A good way to avoid this is to buy small amounts of fresh produce once at the beginning of the week and again towards the end. HOWEVER, most of us want to do a big order once a week. 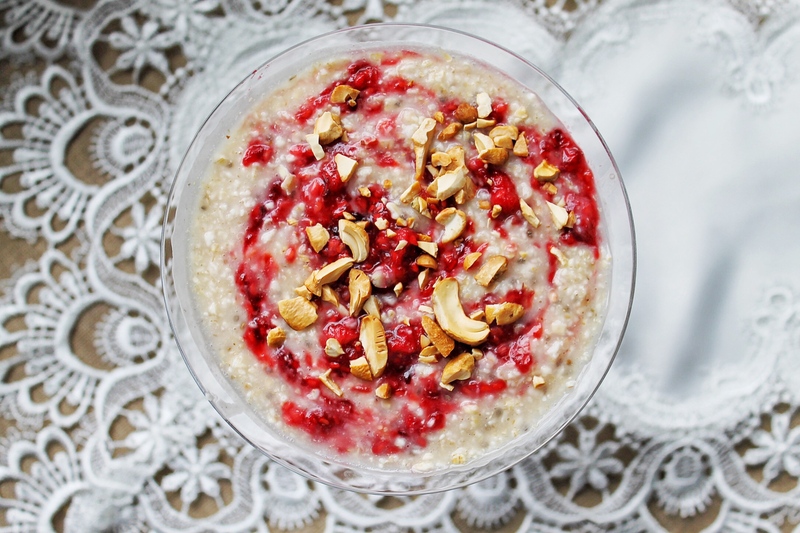 Luckily this oatmeal recipe is a great way to use up some of that overripe fruit. Although this recipes calls for raspberries, you can use just about ANY fruit to make a compote of sorts. By cooking the fruit, the natural sweetness and flavours are intensified from cooking out the water. The jam like mixture pairs beautifully with oatmeal but can also be added to yogurt, granola and smoothies. 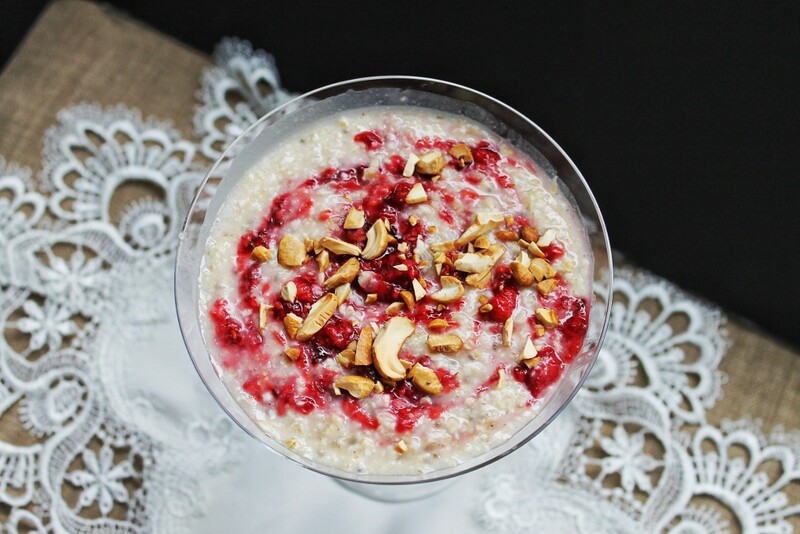 The best part is, it comes together in minutes and adds exciting flavour to our everyday oatmeal! Feel free to cook the fruits up to a week in advance and use throughout the week. Have a beautiful weekend! 1. In a small saucepan on medium heat, cook raspberries for 5-7 minutes. 2. 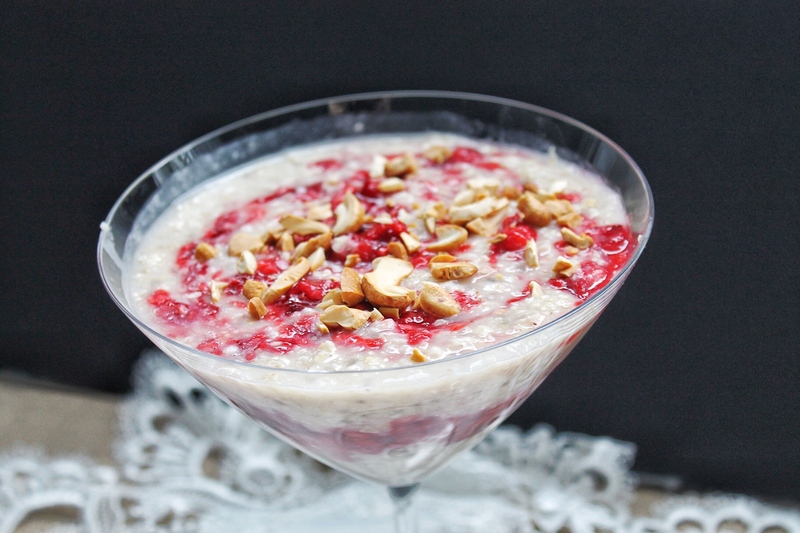 While the raspberries are on the stove, cook oats according to the directions of the brand. 3. Once raspberries have started to cook down, add maple syrup and stir. Cook for another 2-3 minutes. 4. 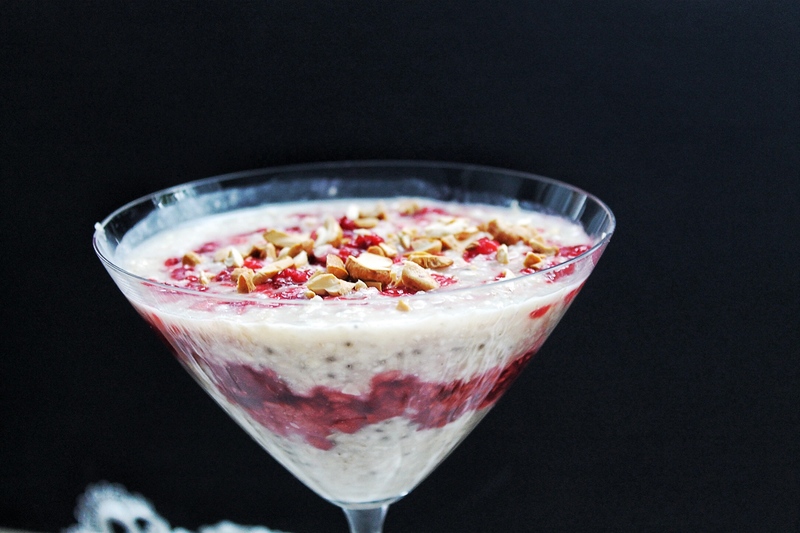 Mix the vanilla, salt and chia seeds into the cooked oats. 5. Swirl the raspberry sauce into the oats. Top with cashews. Enjoy!